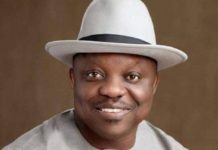 Immediate-past governor of Delta State and All Progressives Congress 2019 Delta South senatorial candidate, Dr. Emmanuel Eweta Uduaghan, has opened up on the downgrade of the Asaba International Airport by the Nigeria Civil Aviation Authority (NCAA), few days to his exit as the governor of the oil-rich state in 2015. The Nigerian government through the NCAA had downgraded the Asaba airport over the failure of Delta State government to put in place safety and security measures at the airport. The development temporarily shut down the operation of the airport as only Dash 8-Q 400 aircraft or its equivalent were allowed in. But speaking recently in an interview with TELL Magazine, the Itsekiri-born medical doctor revealed that the poor remarks of the airport by the NCAA were politically motivated stressing that it was a regional power-play and blackmail by some aggrieved persons in the state. In his words: “What they are celebrating as first international flight, what plane was used? A Boeing – 737 – which had been coming in. By the time I was leaving, we had had over 130,000 passengers pass through that airport; some coming with Boeing 737, and smaller planes. There is no president, past president, current president alive today, and very prominent Nigerians that has not passed through that airport and did not have good testimonies about that airport. The airport ran smoothly for three years; there was no issue. “Then we started having challenges with the run-way, which we started to look at. And it’s not new. Enugu airport was resurfaced last year; they are already having challenges with the runway. Go and check Enugu records; the last visit of governors of the Southeast to Mr. President was to complain about the runway in Enugu airport. And this was a runway that was rehabilitated, first before we left, then done again when I had left office. The same company which they recommended to us that should do the Asaba airport, rehabilitated Enugu airport in the last six years twice and still has problems. Abuja airport has problems – runway. Runway problem is not something new, just that they turned this one into politics. “First, it was announced by the ministry; the ministry had no business announcing it. It’s the business of the FCAA. Some people lobbied the ministry to down-grade it so that I can panic and pump in money and finish it quickly. The same people at that time just felt upset that I had started the Osubi airport runway construction; I had paid some deposit to the company, and their own was that the deposit I had paid for the Osubi airport runway, why would I not use it to complete the Asaba Airport. “So, there was a regional power-play and blackmail. I am going to mention names in the future, especially for the Osubi airport. We were given a temporary approval by the ministry to commence construction while lobbying for the permanent approval by the FCAA; so, we did not just go there anyhow. The minister came; he went to the place. They gave us temporary go-ahead to do it. “Of course, ministers were changed. A new minister came in – Osita Chidoka – he was supposed to be my friend; he’s still my friend till today. But when he became minister, he was a little bit hostile. So, I was looking for him; I couldn’t locate him until we were having one rally. I said look, honourable minister, I have been trying to reach you. Can we meet over the airports in Delta? He said fine. 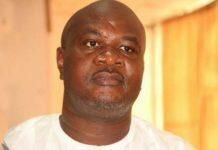 “I went to his office; I was in his office for over four hours discussing the two airports and he said Osubi must stop work. I said why? That we can’t have two airports together like that. For two years, I tried to take over the Osubi airport so that I could increase the length of the runway. You know it was built by Shell, and it was being run by Shell. Shell dribbled us for two years; it was eventually they opened-up to me that they would never give it out because it would affect their operations. I said all these two years, why not say it? So, when they eventually agreed to give it to us that we could do what we had in mind to do, but that we should not touch the short runway, I said okay, available land space, give it to us so that we would do a longer runway; airports don’t have only one runway. Some have three, four. Shell said no. So, that meant we cannot even have land. The former governor further revealed that they had cleared, excavated, sand-filled and “work was going on when Chidoka said no, we cannot continue; that there are two airports. I told him no; I appealed to him, but we continued with our construction. He now sent people to come and stop the contractors. Of course, because they were contractors also doing federal jobs, they were afraid to continue in order not to be black-listed. So, that is what happened to Osubi airport hoping that they would force me to go to Asaba airport. But I told them that Asaba airport wasn’t abandoned; we were just having challenges with who the consultant would be. 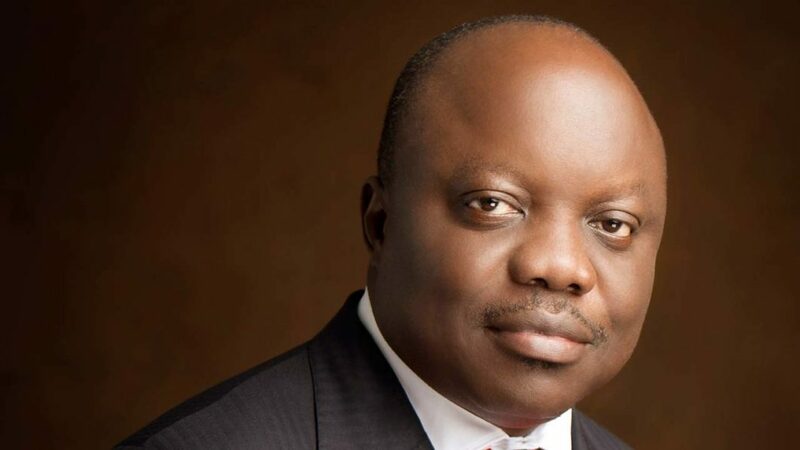 Responding to the issues raised by the NCAA in the downgrade report, Uduaghan said: “Most of the issues raised were handled. First, they started with fire-fighters; that the fire-fighters we put there were not for airports. We had to order for other ones to specification. “Then they raised the issue of the hill; of course, the hill is well-known. That because of the hills, they would not allow big planes to come in. So, we had to give the contract concerning the hills to three different companies so that they can bring the hills down as quickly as possible. Of course, because of the cost, that started another controversy. “They raised the issue of perimeter-fencing, about 70 per cent of which we had done; but before you wake up, Onitsha people had come to cut them, and they took them to go and sell. So, we had to increase security around the place. “Then the issue of FA lighting so that planes can land at night; we installed FA lighting twice and they would come from across the Niger to steal them away. At the time they closed the airport, the memo had gone through exco, the contract had been awarded for the resurfacing of the runway. They were just waiting for mobilization. So, that statement wasn’t correct.